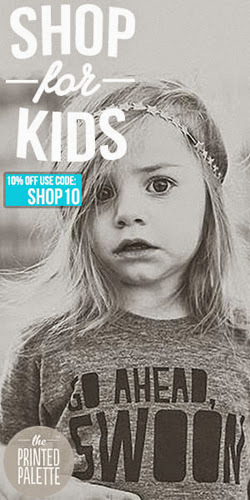 Just in time... the perfect little treat for your kids. I definitely don't have the patience to make enough to give out at Halloween - but I'll just blame that one on being preggers. 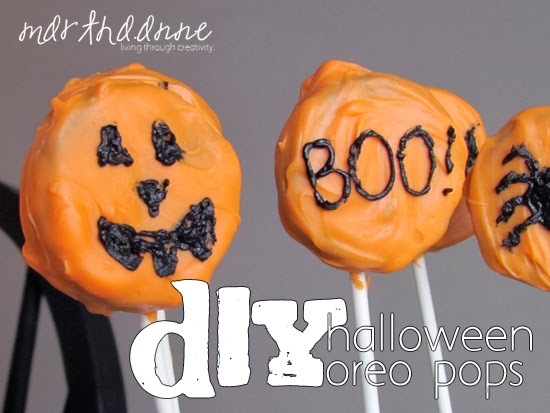 Anyways, I created these cute little Halloween Oreo Pops... which are completely DIY, and I did them in less than 30 minutes this afternoon. 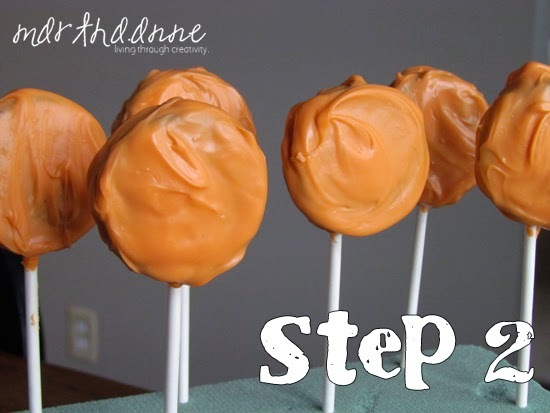 First, melt the orange chocolate chips or wafers in the microwave, as directed on the package. Once melted, put a little on one side of the Oreo, place a stick on it and then finish by coating that same side with more chocolate (I used a spoon to coat the chocolate). Put in the fridge for 5 minutes or until chocolate is hardened. 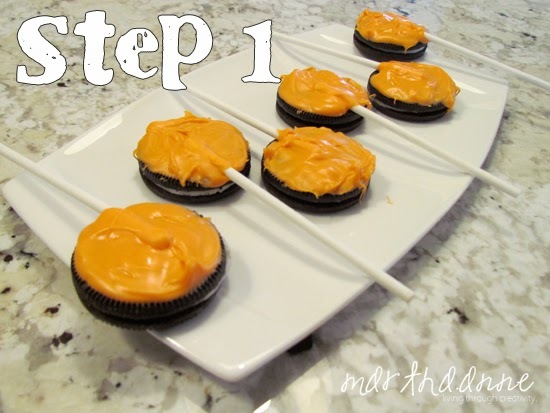 Next, remove the Oreo Pops from the fridge and coat the others side and edges with the remaining chocolate. You may need to remelt the chocolate first. Then place the pops in a foam block upward and return to fridge for another five minutes or until the chocolate has hardened. 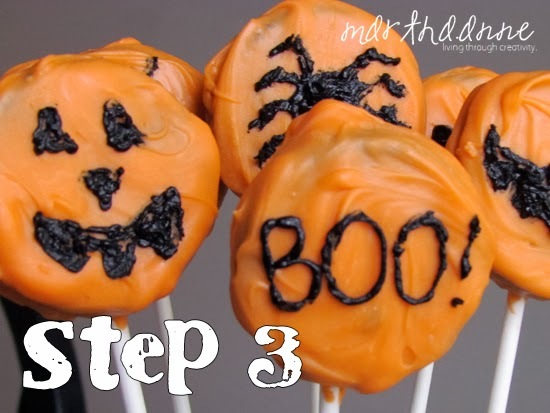 Finally, remove from fridge one last time and use your black icing to decorate. If you're using the icing that you warm and let harden, return to fridge. I just used regular icing as I wasn't going to package them.